Read on for all the images and more info. The only additional info is for the iZombie Statue. It will go on sale in November at a price of $99.95. It’s based on the comic and not the upcoming TV Series. Read on to check out the images. 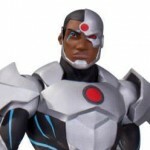 DC Collectibles has updated with their group solicitations for April 2014 releases. 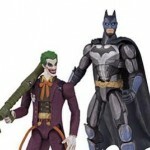 These include the long awaited Batman vs Joker Injustice 2-Pack! Here’s the full list of what’s added. For much more info and all of the images, read on. DC Collectibles has revealed a DC Comics Bombshells Stargirl Statue. The statue was designed by Ant Lucia and was sculpted by Tim Miller. The statue is due for release in July 2014. 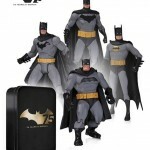 Pre-orders will likely be available in the next round of DC Collectibles solicitations. We’ll have more if and when it becomes available. Read on for the photo.